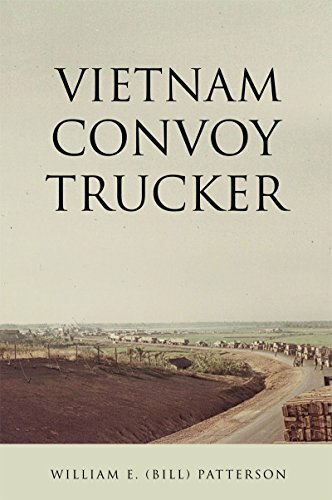 Xulan, a Christian-based press, guided Bill Patterson through the process of writing his memoir, Vietnam Convoy Trucker (202 pp., $29.95, hardcover; $19.99, paper; $9.99, Kindle). He could have benefited from a bit more guidance. The book is slowed down by much repetition. Patterson tells the reader several times about his triple extra-large uniform and how he had a Long Binh tailor cut them down for him and what a good job she did and how he wore them for the entire time he was in Vietnam. He also mentions fifty-five gallon drums of Peneprime many times. 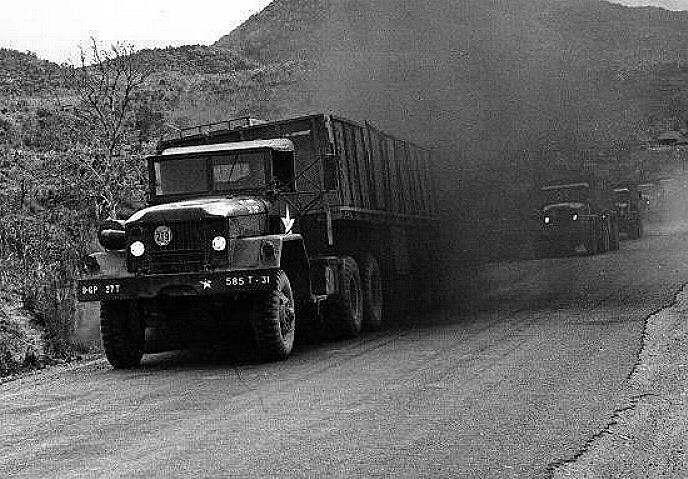 It is a black, tarry substance that was applied to the roads to deal with the red dirt and dust, which Patterson, as a truck driver, did battle with every day in the Vietnam War. Patterson enlisted in the U. S. Army Reserves during the summer of 1964. He was assured that by doing so he’d serve out his six years in the United States. In early 1968, he and his many friends in the 319th Transportation Company in Augusta, Georgia, were called to active duty status. Other reserve units who received this call fought the legality of it, but the 319th did not. Unlike the overwhelming majority of those who served in the Vietnam War, Patterson went there with friends and neighbors, men he had known for many years back home. When their war was over, the men returned to Augusta, and remained in contact for the following decades. This experience is well-described and brings home how vastly different it was for most of us who were brought to that war individually. It is easy to see the advantages of being surrounded with old friends in a war zone. The 319th arrived in Vietnam September 1968. “The next day we immediately began riding with another company on convoy runs to learn the routes and procedures,” Patterson writes. Later, he takes stock of the war, seen from his front seat in the five-ton cargo truck he drove nearly 15,000 miles through South Vietnam, delivering troops, barrels of Peneprime, apples, oranges, ammunition, supplies, equipment, and canned food on pallets. Patterson’s unit logged over a million miles. When they returned home to the Bible Belt they encountered a cordial welcome, with little of the war protesting that others of us ran up against elsewhere. Patterson thanks President Nixon for enabling his unit to shave six weeks off their commitment and get home early. I don’t think poor Jane Fonda can be blamed for the fact that when I tried to return to the state job I’d been drafted out of, I was told they didn’t want me back. It didn’t occur to me she was responsible at the time, and I don’t buy it now. Patterson’s low-key narration and deadpan style makes this book an easy and pleasant read. He has a gift for understatement that I enjoyed. I highly recommend this book to those who have been jonesing for more information on Vietnam convoy trucking. This is the book.